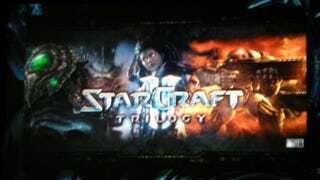 StarCraft II Single Player Is A Trilogy! Click to viewBlizzard just announced that StarCraft II's single player campaign would be split into three separate products. The scope of the single-player experience was so huge they decided to deliver three different products. The first product will focus on the Terrans, with the Zerg next and finally the Protoss. The story will stretch across three titles. Wings of Liberty - Terrans Heart of the Swarm - Zerg Legacy of the Void - Protoss Each campaign is treated as a fully fleshed out game, with each title ending the same way. The change will allow for more characters, more missions, and more complete experiences overall.